Thought slow and steady wins the race? Think again. When it comes to shaving inches off your waist WHILE shaving minutes off your workout - intervals are the way to go on a treadmill. 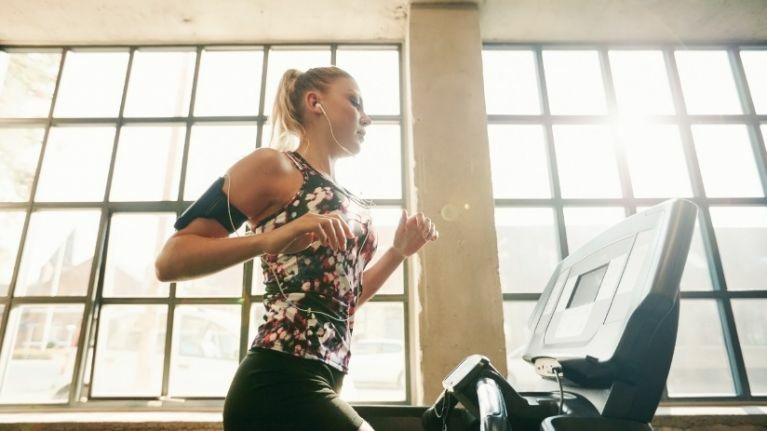 While many of us aim to increase our duration on the treadmill, and applaud ourselves for going the extra ten minutes, studies prove that short, sharp bursts will maximise weight loss compared to steady endurance. In fact, a study in Medicine & Science in Sports & Exercise found that women who sprinted for two minutes and then slowed down for three, burned more calories the day AFTER their workout than those who did low intensity. The first group of ladies lowered their body fat by four percent in the coming weeks whereas the group who ran slow and steady didn't lose any. "Start with intervals in 1:2 or 1:1 ratios. That means upping your speed for 30 to 60 seconds, then dropping it for the same amount of time or double that. Choose a speed that’s an effort you could hold for between two and five minutes. You want to feel invigorated, not exhausted."